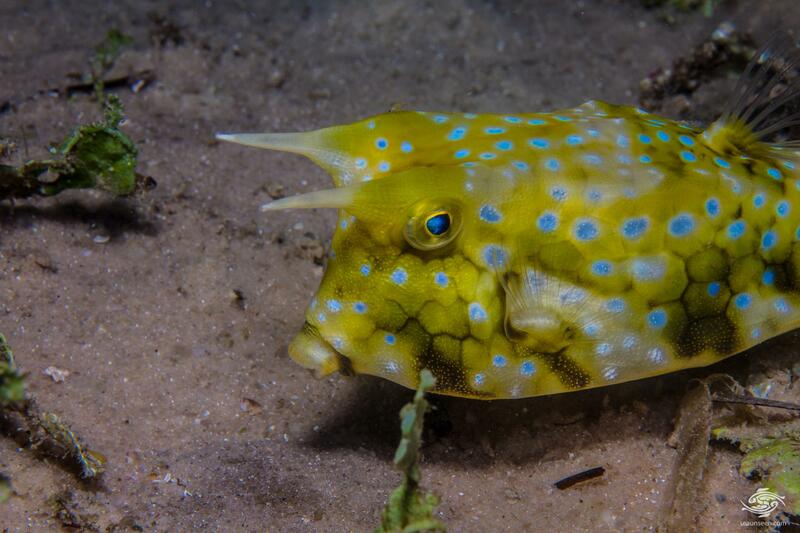 The Longhorn cowfish (Lactoria cornuta) also known as the Horned Boxfish. 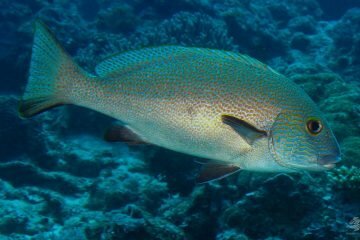 Their plate-like scales are fused together to form a solid box-like carapace and the fins, tail, eyes and mouth protrude from this. They have no pelvic fins. 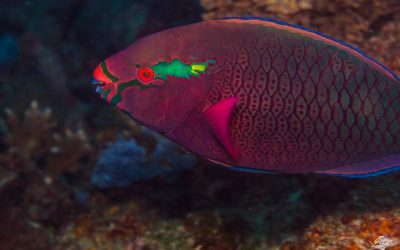 Due to the armor, the fish are slow moving and rely on their pectoral fins for propulsion. Cowfish are closely related to the Pufferfish or Blowfish. 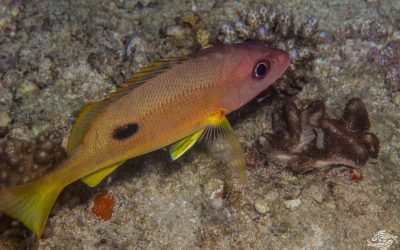 Although they do not have the ability to puff themselves up, they have a symbiotic relationship with types of toxic bacteria similar to the Pufferfish. These bacteria produce ostracitoxin which is a powerful neurotoxin. The ostracitoxin’s are found in their skin and internal organs. 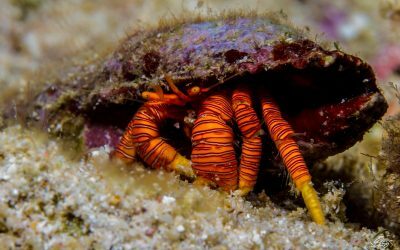 In addition to being poisonous they have the ability to secrete the ostracitoxins into the water when stressed. 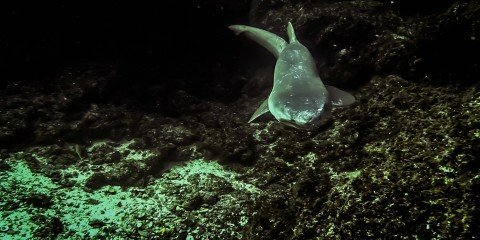 This acts as a chemical defence when they are attacked by predators. 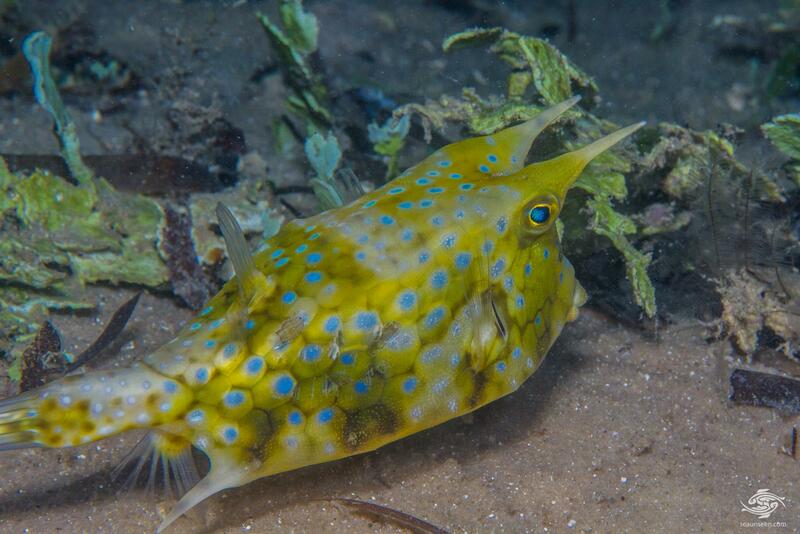 The Longhorn Cowfish have a very unusual box shaped body with a proportionally large caudal fin that is usually folded. 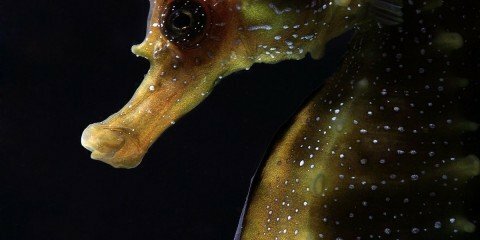 Two large spine like horns face forward above the eye and they have a tubular shaped mouth that protrudes forward. On the lower rear section of the body two further spines face backwards as can be seen in the image below. The sides of the body are concave which streamlines water flow across the body. 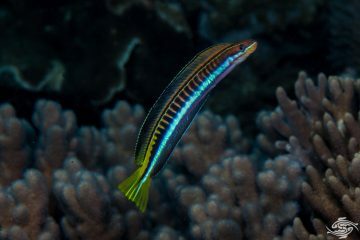 The caudal fin is proportionally large and is articulated onto the rear of the body as can be seen in the image below. The upper body and sides are covered with a series of hexagon markings usually in a light brown colour. 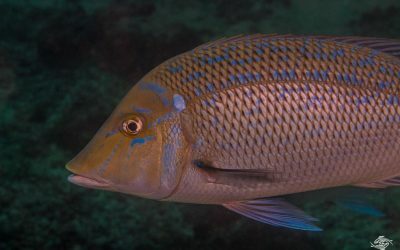 Their base colors are variable between yellow and olive with random light blue spots scattered across the body. The facial area is a similar colour to the rest of the body, but without the hexagonal markings. 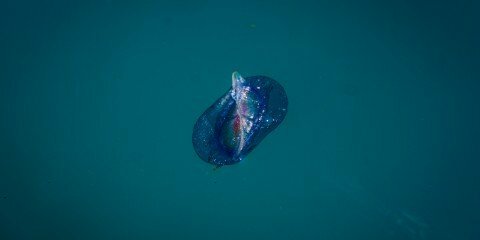 They grow to roughly 45 centimeters in length although they are usually smaller in the wild. 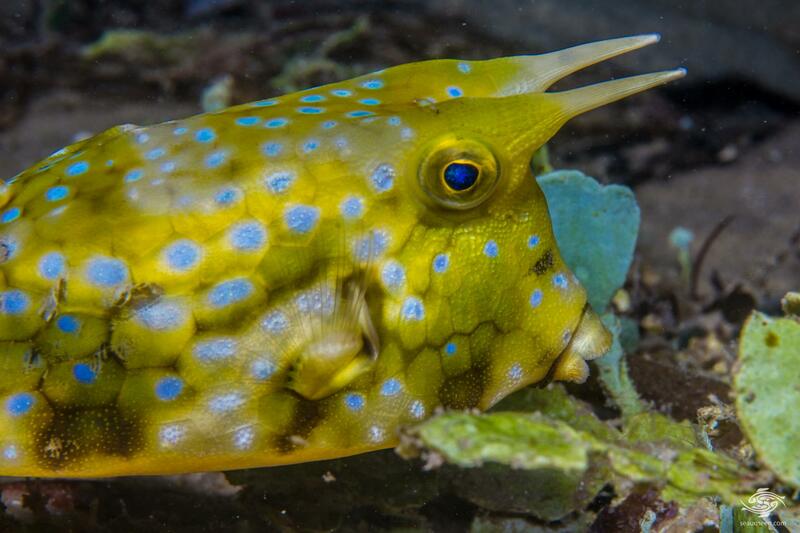 As with most boxfish the Longhorn cowfish is usually quick to hide in any convenient hole or hiding spot when approached and the large adults are particularly shy. 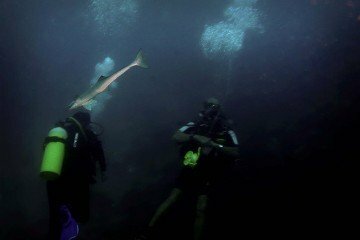 They usually swim low on the substrate and sometimes hide in soft corals or weeds when they see a diver. If there is no suitable hiding spot they will sometimes sit motionless on the bottom watching the diver. As can be seen in some of the images below when they become stressed dark patches appear on the body. 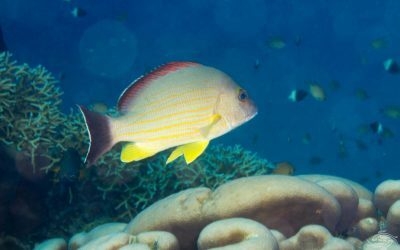 Thornback cowfish are found across the Indo pacific area. 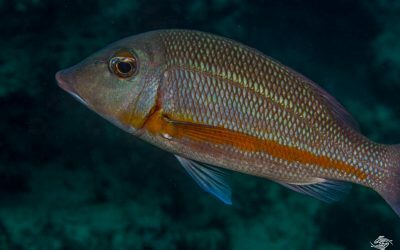 They are found mainly around semi protected reefs from a depth of 1 to 30 meters although they the adults are more common between 12 to 18 meters. 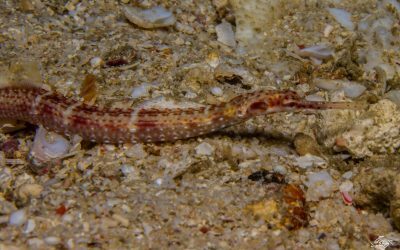 The juveniles are often found in shallower waters, sometimes over sand or in grassy beds. 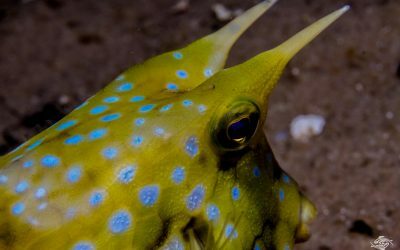 The diet of the Thornback cowfish consists of small invertebrates such as molluscs, crustaceans, polychaete worms, sponges algae and foraminiferans that are strained from the sand. They use their tubular shaped mouth to siphon their prey into their mouths. 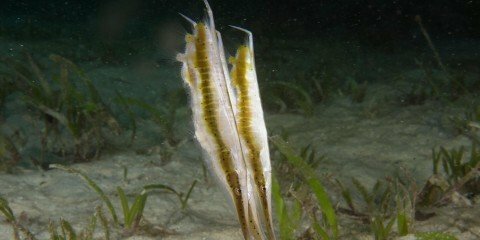 They have been seen blowing through their mouths into sand to expose prey. Most of their feeding is done across the bottom. 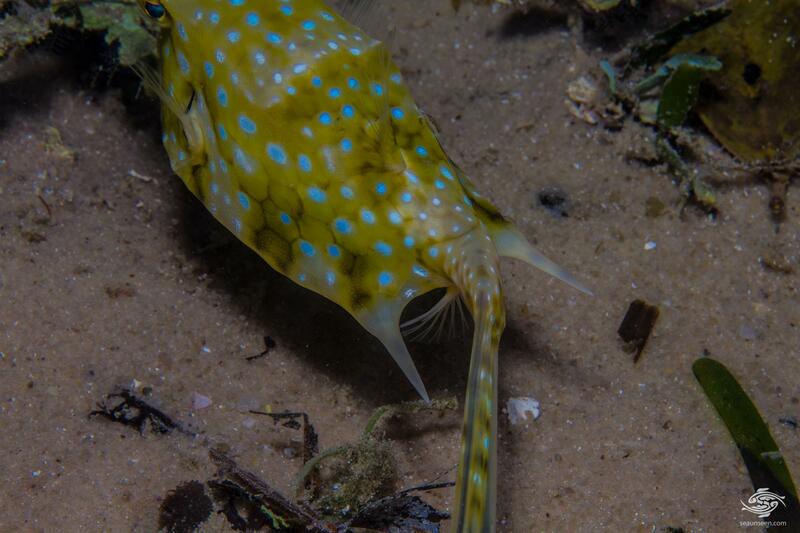 The male Longhorn Cowfish are territorial and are thought to have several females in their territory. When breeding takes place the eggs are released into the water table. Once the eggs hatch, the fry develop into small boxfish. They have been captive bred. 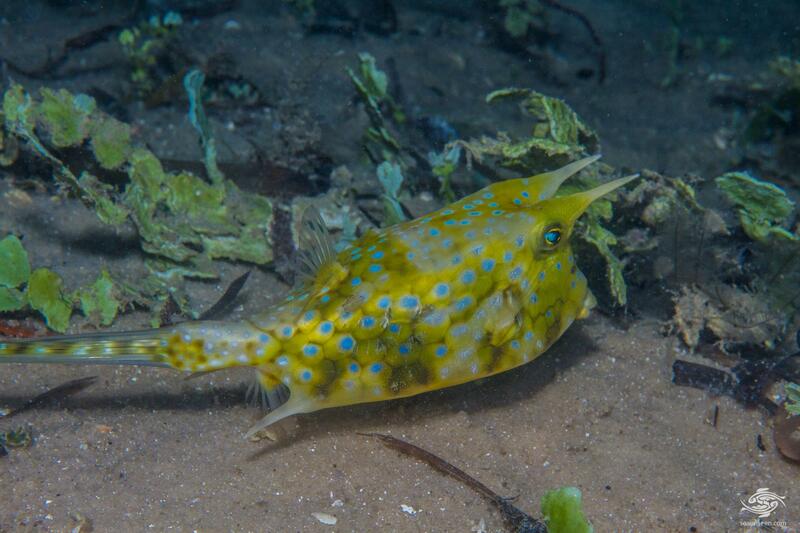 Longhorn Cowfish can release toxins into an aquarium and should only be kept by experienced aquarists. 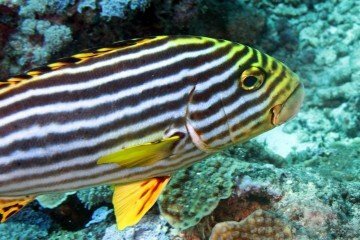 They can easily destroy an aquarium if they release toxins. Sudden movements or loud noises can stress them and they are not suitable for high traffic aquariums. 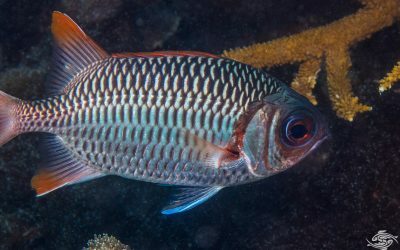 For aquarists who decide to take the risk of keeping them, they should ensure that they are not stressed in any fashion by other fish. Keeping a large amount of water in reserve in case a water change is necessary may also be a good idea. 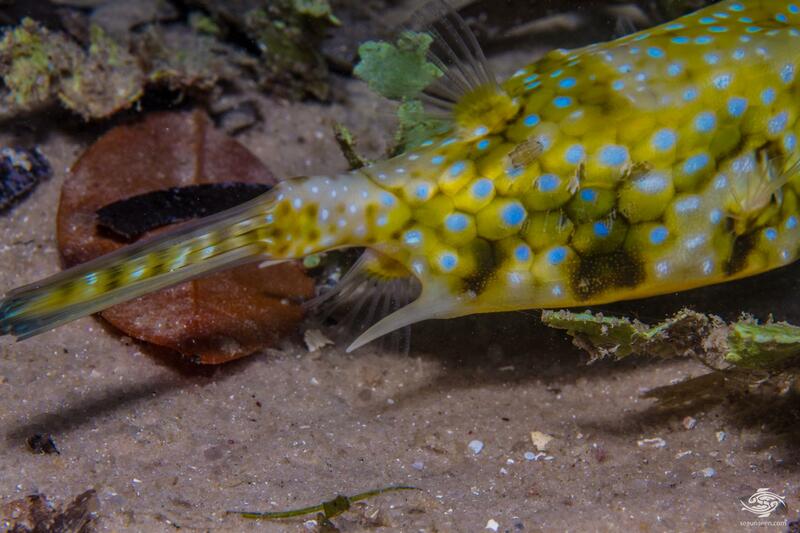 Some species of cowfish are now being captive bred. Research done in Japan on pufferfish has identified the bacteria which create the toxins within them. 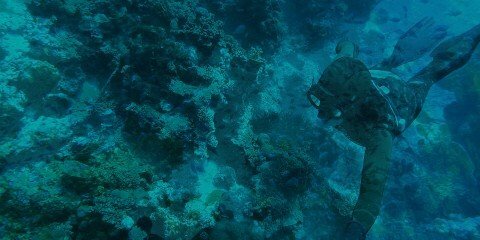 By keeping these bacteria out of their diet of commercially bred pufferfish, they no longer produce the toxins. 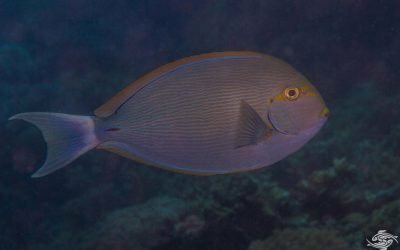 Captive bred specimens of cowfish should theoretically not pose a risk in tanks. This may lead to them becoming more popular in the future. 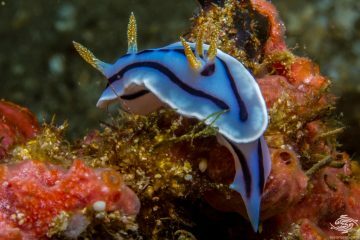 Cowfish have plenty of character and can be a fun fish to have in an aquarium. They are relatively easy to move onto frozen foods, flakes and algae. 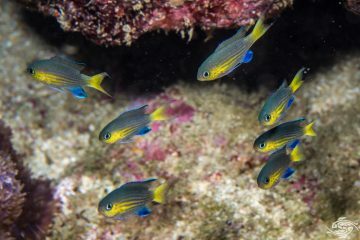 They may attack certain corals but are peaceful with other fish species.